Raymond Chu and Lily Cheng have won in the Salon Tango and Vals categories in the Championship in China, 2014 and represented China to take part in the World Tango Championship in Argentina in which they were able to make their way to become one of the top 30 Finalists. In 2011, they were the first and only Chinese dancers to have won as the champions of the Asian Championship (salon tango category) in Japan. They have represented Asia to participate in the World Championship 2011 in Buenos Aires, Argentina and were ranked top 4 in the semi-final among over 400 professional couples from all over the world. They are an inspirational reference for the new generations of dancers and performers, widely recognized for their elegance and essence of tango in their dance. Raymond and Lily have started dancing argentine tango since 2003. They learnt from well-respected tango masters in Buenos Aires during their extended visits to Argentina years after years. In 2006, they started teaching and formed their own dance company OtroTango. Their teaching has show a deep understanding of authentic tango, in it’s cultural as well as technical aspects emphasizing on details, precision and quality of movements. They have brought up many good dancers in HK, and inspired more all over Asia. They were invited to teach workshops and perform in Seoul, Taipei, Sydney, Tokyo, Shanghai, Bali, Singapore and Beijing and Brunei. Over the years, Lily and Raymond have provided exceptional instructions to hundreds of students and international tangueros. They have also been invited to perform in some of the prestigious milongas, like Salon Canning and La Baldosa in the mecca of Tango, Buenos Aires. In 2013, they have organized the 1st Tango Salon Championship in Hong Kong and Tango Salon Xtreme Workshop with more than 80 participants from all over Asia, and over 200 persons from Hong Kong, forming the 2nd largest championship in Asia. They were invited to prestigious events, including performing in the 10th Anniversary of the Asian Championship in Japan as past champions and in the Hong Kong Dance Alliance’s Dance Award 2013 as guest performers. Lily has 6 years of ballet and modern dance training. She has performed for different local modern dance groups and her choreography debut “Tied” has won the silver prize of a dance choreography competition in 2000. But ever since she met tango in 2003, she devoted herself totally to this particular dance art. She has even quitted her job as an architect to work full time in tango from 2011. Through her training in modern dance, she understand how the bodies work and respond, she teaches and helps students get the movements easily with natural dynamics. With extended visits to the Mecca of tango, Buenos Aires, she has gone deep into the essence of tango, and developed a unique style with classical elegance and subtle passion. Raymond crushed on Tango since 2003. He has followed many world famous tango teachers all over the world to study tango. He has visited Buenos Aires several times to learn and realize what real tango is. He loves both the traditional elegant tango style and the nuevo tango style. And he always would combine those styles in his dancing. Raymond started performing Tango in 2005 and has done demonstrations and performances in lots of occasions since then. He has been invited by the largest Tango Club, Tangotang, as guest teacher for their workshops. He has now been teaching tango with Lily regularly since 2006. Andre and Agnes started their tango partnership in the summer of 2011. They were invited to perform at some of the Milongas in HK. They have been assisting/teaching group classes and holding Practica Otro occasionally. 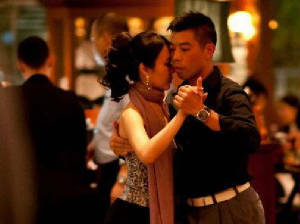 Andre started Tango when he joined the opening milonga of TangoBang of Shanghai in 2008. He has never imagine himself in Tango, and how impactful tango is to his life. Andre followed Tango masters introduced by Hong Kong, Shanghai and Beijing and participates in all major events/milongas. 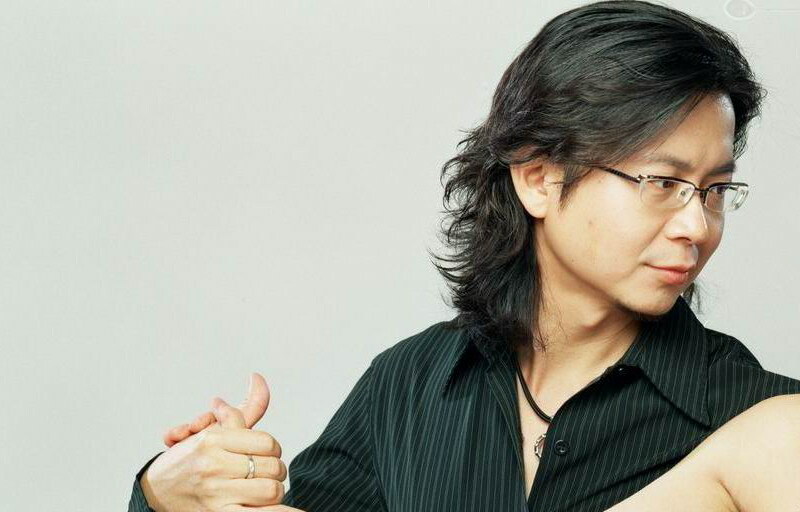 He has performed in one of the milongas in the First Shanghai Tango Festival 2011. Andre has been known as elegant and active dancer in Hong Kong. Agnes had Chinese dance training since she was 6. She kept on dancing during school time and participated in dance team and dance competition. She had also learned Modern Jazz, Latin Dance and Salsa before she started to learn Argentine Tango in 2006. She learned tango with many well-known masters including Javier & Andrea, Pablo & Noelia, Laila & Leandro, Carolina & Francisco, Sebastian & Roxana, Christian & Virginia… etc. She has performed in the farewell milonga in the First HK Tango Festival 2010. She is also one of the organizers of Milonga OTRA Noche.